What’s that? Did I hear you call my name? 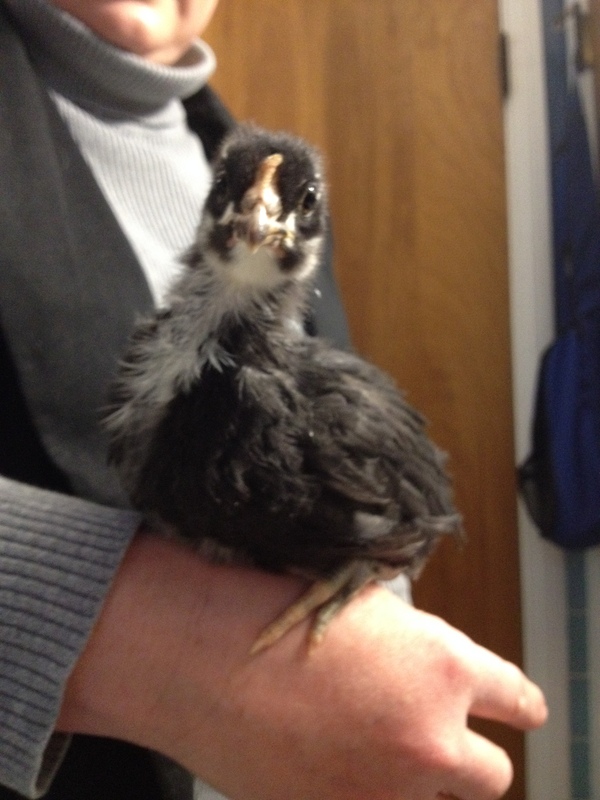 My little Black French Copper Marans chick asked for help in finding a name, and you delivered! In 24 hours, we received a total of 25 submissions, ranging from sweet French names to Stephen King horror characters. Some fun surprises: Cujo, Barbarella, Pyewacket, Joan Jett and Norma Bates. All of the name suggestions are awesome, and would suit our little chick well. Our plan is to whittle this list down to the top 10 names, then put it up for a final vote. While it may be tempting to vote for the name you sent in, I really hope you will vote for other names on the list. So now, it’s time to cast your ballot. This girl needs a name! You should make a rule we can’t vote for our own suggestion, and hopefully all would comply. Okay. I voted for Amelie but Andievis a close second. You should let us pick our top three! Thanks for your vote! This process is totally imperfect, but I really appreciate your participation!! Peep-peep! Okay I picked another name, for you, but I still want mine to win! Which one is yours? I forgot. And thanks for your vote!